Fat, juicy, succulent, easy to prep, easy to cook, impressive, in the best condition right now. What fish I hear you cry? 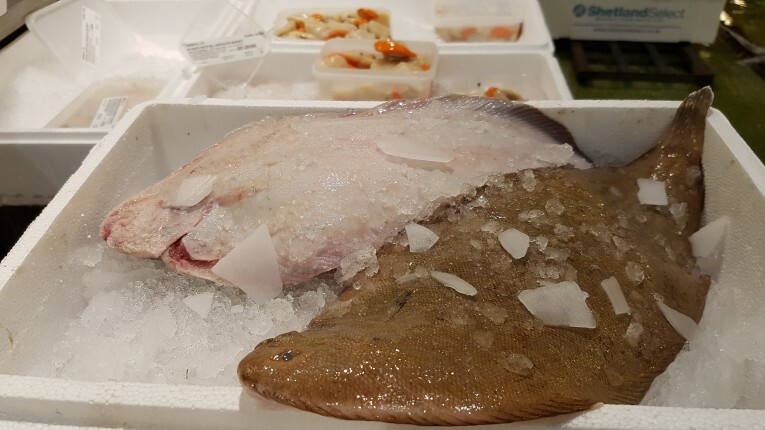 Well, quite a few in Billingsgate fit that description so we’re spoilt for choice, but Dover Sole, described as the “king’ of the soles”, springs to mind. 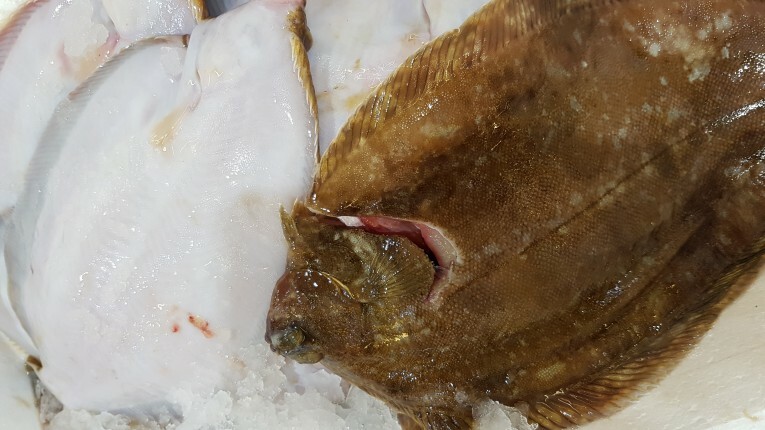 Visit a restaurant with Dover Sole on the menu now and you’re certainly in for a treat, but you’d be looking at approximately £35.00 to £40.00 for the fish alone plus veggies. If it’s on a Valentine Special menu, look to pay upwards of that. However, having your dinner party or Special Valentine dinner at home, then sourcing your fish from the Market could be your answer for the very best quality and price. I would highly recommend using your local fishmonger or travelling to visit one. Prices at good fishmongers will vary depending on the area in which you live, but high-end quality is paramount and should never be compromised. If Dover Sole is a little on the expensive side, then in equally good availability are Lemon Soles. In Billingsgate this week, they are one-third of the price of Dovers and are delightful. But be quick with both as shortly we will now be moving into their breeding time. In fact some flat fish, for instance Plaice, are already in the heart of their breeding cycle. Thousands of Oysters will be sold at Billingsgate next week. With Valentine’s Day happening mid-week, fishmongers and restaurants might get three bites of the cherry by spreading or extending the week. We are very lucky in Billingsgate to have some fantastic shellfish companies, who source Oysters from many areas around the UK, including the West Country, Kent, Essex, Jersey and Scotland, as well as from Ireland. Dare I say, they even come from France and these will have a slightly different taste and texture. Not a lover of eating them straight out of the shell? Well, concoct a nice fish pie and throw some oyster meat into it. Cooked Oysters in a luxury fish pie…. yummmmmy. Oysters not your kettle of fish? 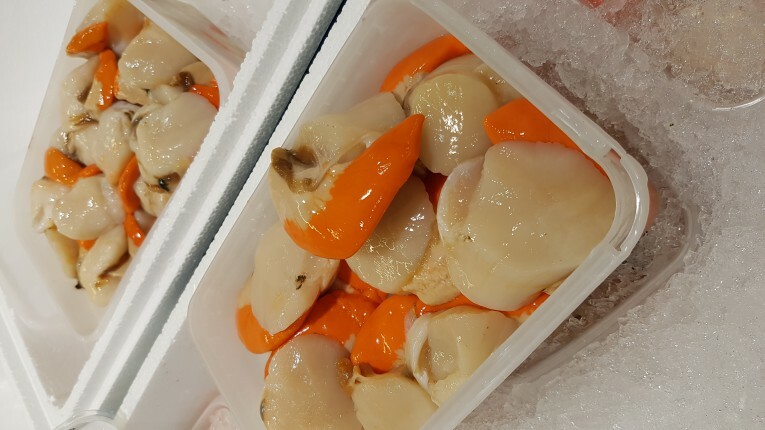 Then surely you could be tempted by these mouth-watering British Dry Scallop Meat (pecten maximus), NOT to be confused with the imported, ex-frozen scallops from the USA, Japan, Peru, to name a few.